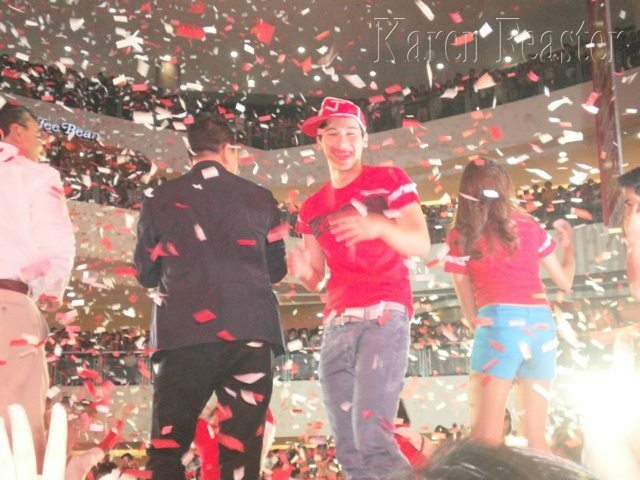 Coca-cola, the most famous soft drink brand in the world celebrated its 100 years in the Philippines with a fabulous fashion show in collaboration with Bench, the top global clothing line in the country held on Ayala Mall Trinoma in January 28, 2012. 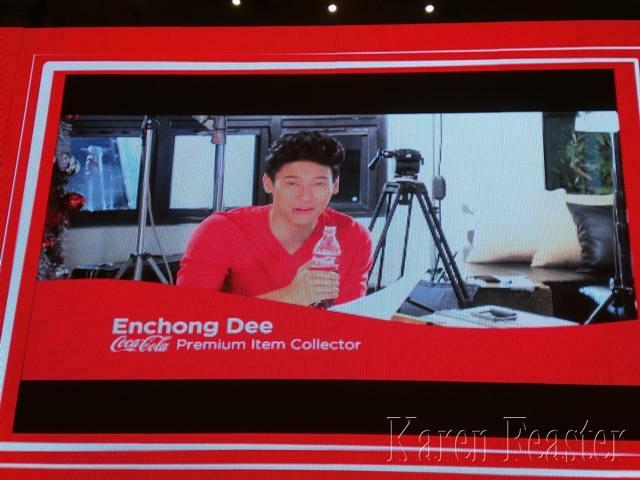 It was indeed overwhelming to get a VIP seat as one of the supporters of one of the most celebrated young matinee idol, Enchong Dee. 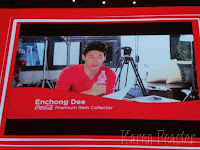 His fans club Enchong Dee World was very warm and amazing just like their/our idol. Thanks to a friend for pulling me. 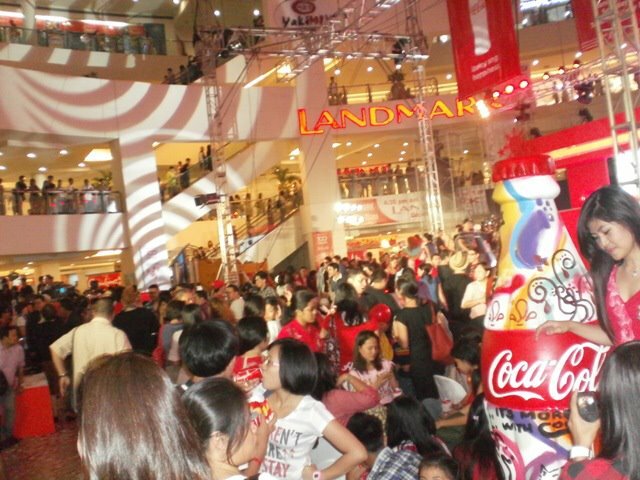 The event started with flashing of great Coke TV Advertisements on screen e.g The Truck of Happiness, “The OFW Project” and one of the most endearing ad I ever watched in my whole life, “The 100 Year Old Man’s Secret to Happiness”. 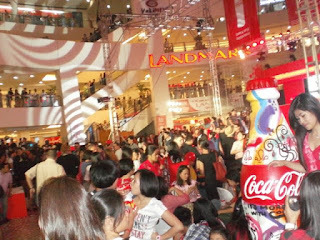 The brand has been a part of Filipinos daily life as it is indeed the No. 1 soft drink in the country and also famous for producing such TV creative advertisements like those I have mentioned earlier. Hosted by MYX VJs Chino and Bianca, the event showcased captivating performances by UE Pep squad, Philippine All Stars and the main event then the fashion show featuring specialized Bench apparel for Coca-Cola called “Coca-Cola originals by Bench”. 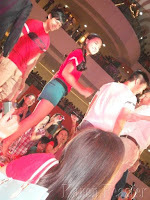 Shining on the ramp were promising teen stars like Enzo Pineda, Roco Nacino, Steven Silva, and David Chua. Of course the jewels of the event, Coke’s four main endorsers, the two gorgeous young ladies of Philippine TV, Kathryn Bernardo and Julia Montes, girl magnet, Joseph Marco and the reason why I had the chance to experience the event, the very humble, gorgeous and down to earth, Enchong Dee who surprised everyone by doing somersault in the air making his girl admirers berserk.